With less than 2 weeks left for the 2018 Commonwealth Games to commence, controversy and unrest has already begun between the Indian Olympic Association (IOA) and the Sports Ministry. 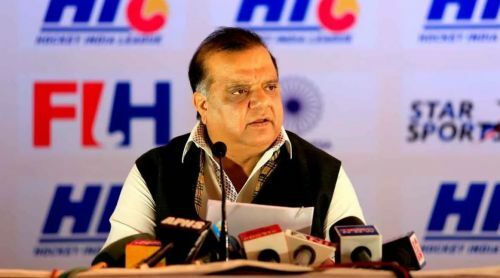 Slamming the government for pruning over the number of officials of the Indian contingent being sent for the CWG, president Narinder Batra openly criticised the Sports Ministry at the contingent's send-off ceremony for striking off the names of 21 officials. To back his argument, he said that the SAI and the ministry bosses are travelling to Australia for the CWG, despite not having any role to play, while issues are being created for the family members who wish to accompany the athletes. The 2018 Commonwealth Games is set to take off from the 4th of April and will continue till the 15th. The multi-sport event, also known as Gold Coast 2018, is being held at Queensland in Australia. Stating that the cutting down of the list should also apply to their own bureaucrats, Batra said the ministry was causing unnecessary issues for those who actually needed to be part of the contingent. “I don’t know why the sports ministry is raising these unnecessary issues. We called these as extra officials but in fact these are not extra officials. These days in every sport you don’t need only the coaches but you need managers, doctors, physios and masseurs. They contribute to the good performance of the players," he said. The IOA had sent a list to the ministry that comprised 222 athletes along with 74 support staff and 21 extra officials. He said that they would travel at the expense of their own National Sports Federations, whereas, the government officials travelling to CWG were doing so at the expense of the taxpayers, wherein lies the problem. “Every multi-sporting event, officials from the Sports Ministry and Sports Authority of India will go at government’s expense. It is taxpayers money and I don’t think their presence at these multi-sporting events enhance the performance of the athletes. So, the media should also question this practice,” he argued. Even though an official statement was not released, those included in the list of non-clearance were the mothers of Saina Nehwal and P.V Sindhu. Former CWG gold medalist and husband of pistol shooter Heena Sidhu, Ronak Ashok Pandit's name was also struck off the list. The Indian athletes, across different disciplines, are set to leave for Gold Coast, Australia, this week. While some of the athletes have already left for the venue, others are set to leave a little later, depending upon when their respective events are. While the arguments of Narinder Batra seem justified, especially if the 21 extra officials are travelling at the expenses of their own federations, it also needs to be seen whether the presence of these officials will actually help better the performances of the athletes.